Dish Media Network Pvt. Ltd. is one of the fastest-growing operators of Nepal’s broadcast and transmission services industry for digital television channels. Launched in 2009, with its corporate office situated at Tinkune Kathmandu, the company is now active across Nepalese marketplace with operations across all 75 districts. This company is run by a pool of highly trained professionals, providing them with challenge, career growth and emoluments that are best as per the Industry Standards which is presently led by Mr. Sudeep Acharya as Chief Executive Officer. DishHome has a nationwide coverage with 80 distributors and approximately 2000 Sub-distributors. 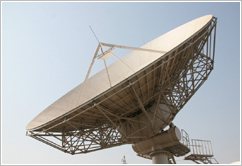 DishHome has a high-quality infrastructure for digital satellite broadcasting, In addition to that, it has secured strong content (channels) portfolio including well known international brands. 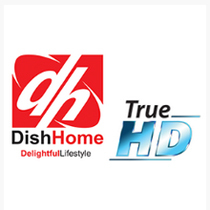 DishHome has an outstanding reputation for quality and reliability with consistently excellent network delivery, high-caliber expertise and advice that is shared with our customers. "Delightful Lifestyle" this mission statement also describes the aspiration of the company to create substantial base of happy and satisfied customers all over Nepal.